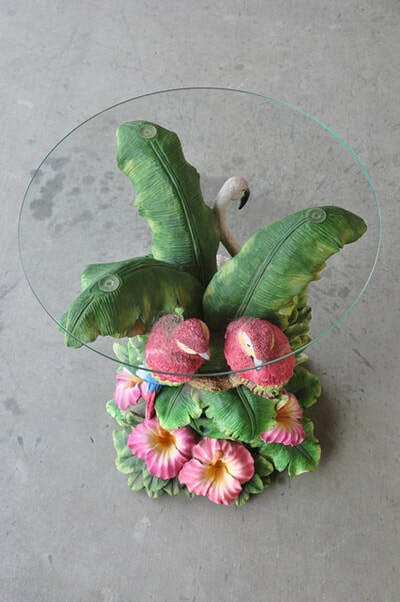 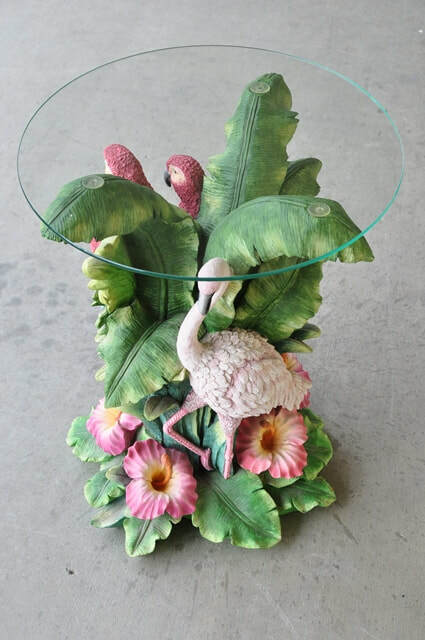 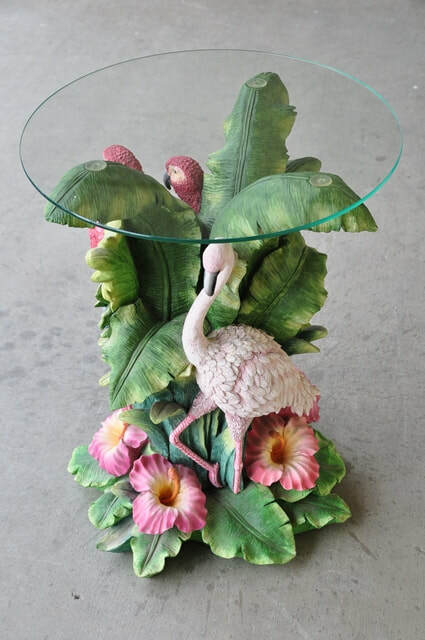 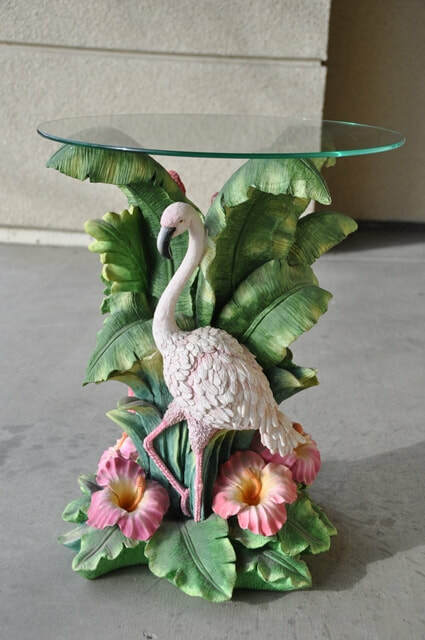 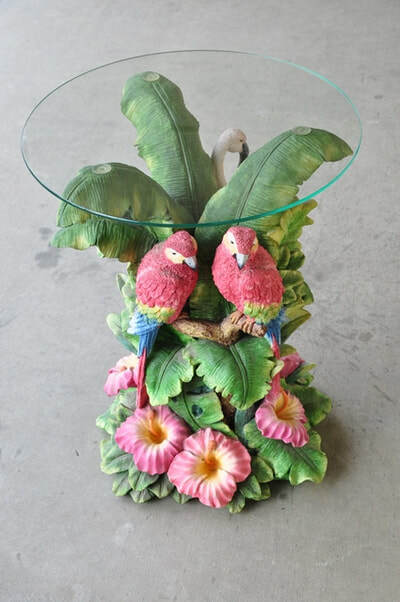 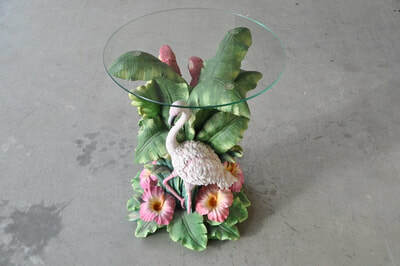 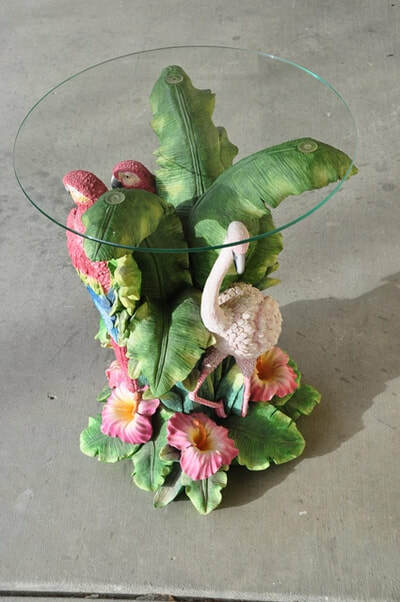 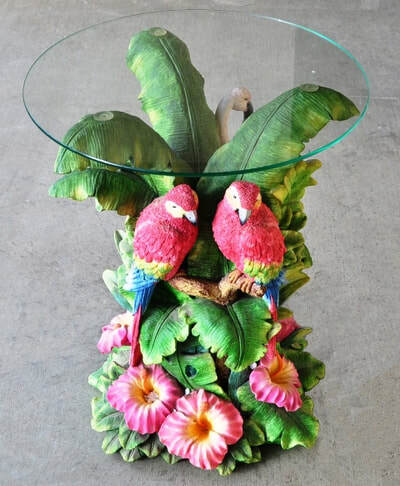 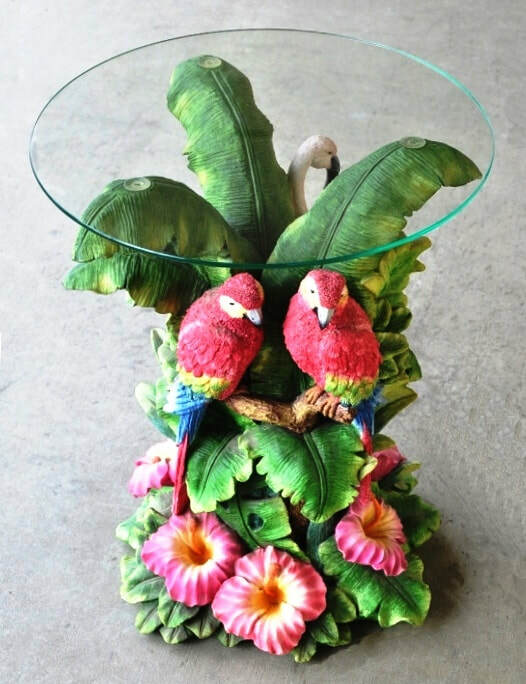 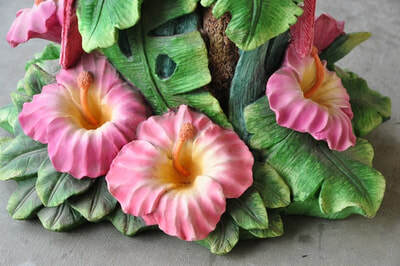 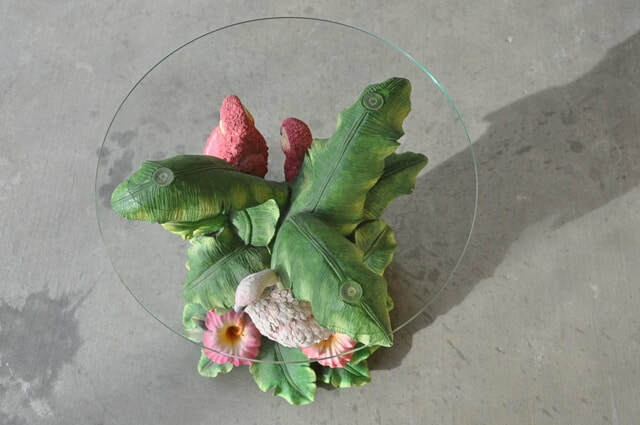 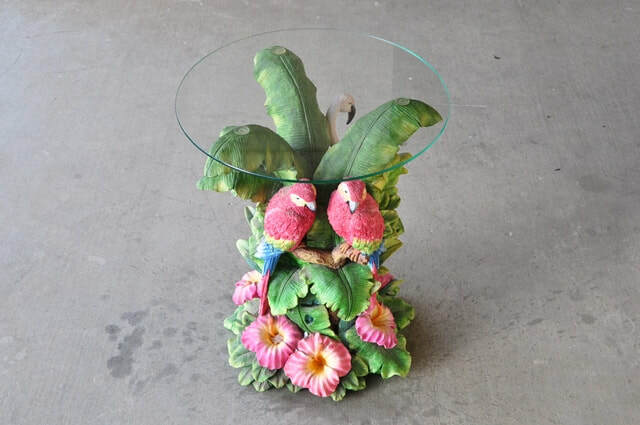 This is an exotic end/side table with a tropical theme. 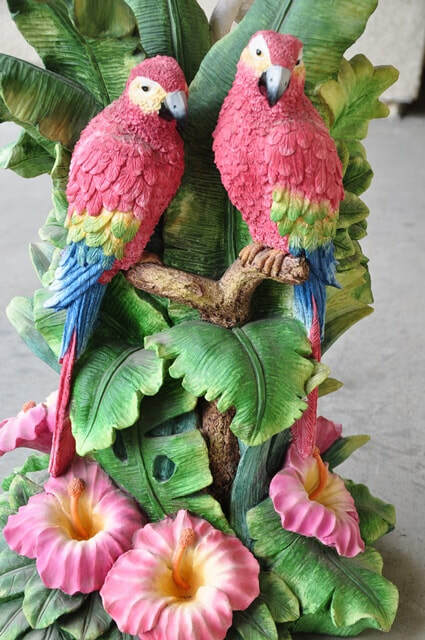 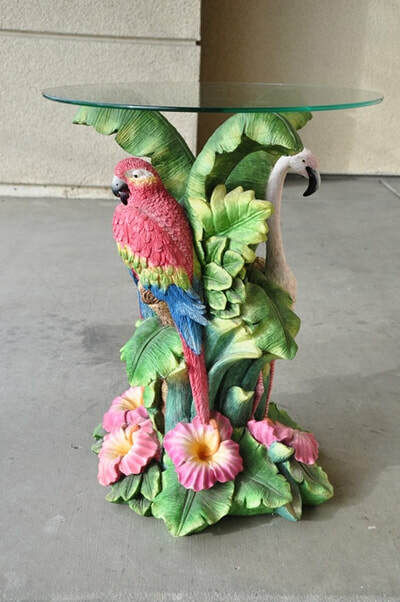 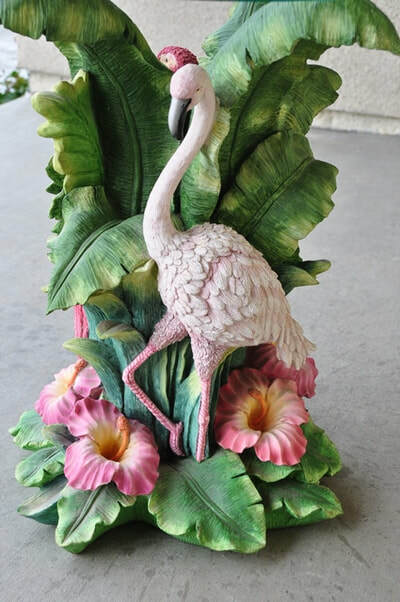 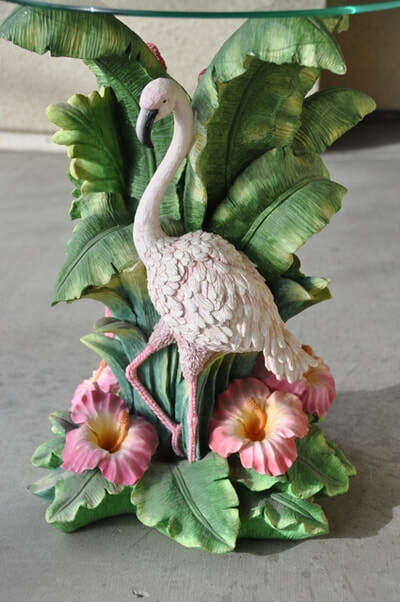 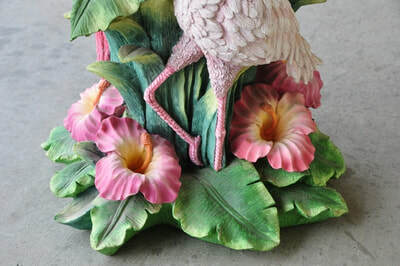 The base is in the form of a sculpture depicting a flamingo and 2 parrots (scarlet macaw) near trees and flowers. 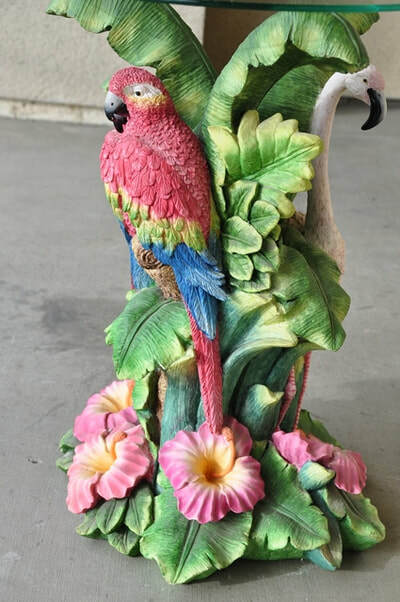 The colors are deep and vibrant. A circular glass of 16" diameter goes on top of the base. 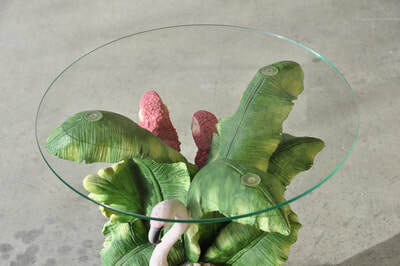 A larger glass can also be used. The base is made of some resin material. 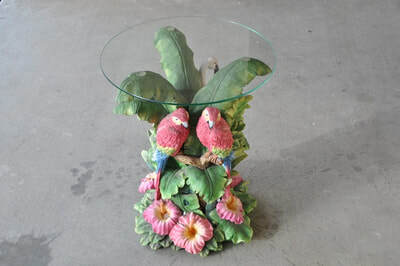 The table is about 20 lb in weight and about 20"high.